Latest statistics for 2017-18 academic years have revealed that there has been a tremendous increase in the percentage of overseas students immigrating to Canada for their higher studies and eventually obtaining a Canada PR. Diverse stakeholders in the overseas education industry have credited this increase to the rising perception of Canada being a welcoming and stable overseas destination owing to diverse global political events. In terms of receiving overseas students, Canada is among the top 10 global education destinations. The percentage of student visas that have been approved for 2008 -2016 has increased more than 100%. While 128, 411 student visas were approved in 2008, the figure was 267, 780 for 2016, quotes CIC News. By December 2016 there were more than 414, 000 active study permits in Canada. However, the exact percentage of overseas students in Canada would be different from this figure as a percentage of immigrants possessing study permits would not be currently in Canada and many of the overseas students avail education in Canada devoid of the study permit. Around 50% of these students are enrolled in Ontario followed by Quebec and British Columbia as the most favored destinations for overseas education. Diverse internet sites have revealed that of late there has been a rise in the interest of overseas students choosing Canada as the destination for their studies. This is mostly associated with Donald Trump assuming the office of the US President. More than twice the number US students accepted admissions to the University of Toronto in 2017 when compared to the enrollments in 2016. There was a hike of 30% in the number of applications received by the Brock University from the overseas students. Around 36% more overseas students have accepted the admission offer of the Brock University for this year in the initial stages of the admission cycle. There was an increase of 82% for the graduate programs in Alberta International University as per the statistics for 2017. A noteworthy increase in the percentage of diverse students was for students from the US with 60%+, India 152%+ and Iran 196%+. The overall overseas students’ application increased by 27% at the undergraduate level while compared to the 11% in 2016. Concordia University’s Spokesperson Chris Mota has said that they feel really fortunate that there has been a constant increase in the number of applications from overseas students. While enrollment of overseas students has never been an issue, the enrollments are going to be really high this year added Chris Mota. The Spokesperson of the University added that these overseas students cold have chosen other global destinations for their studies but now are seriously considering Canada. 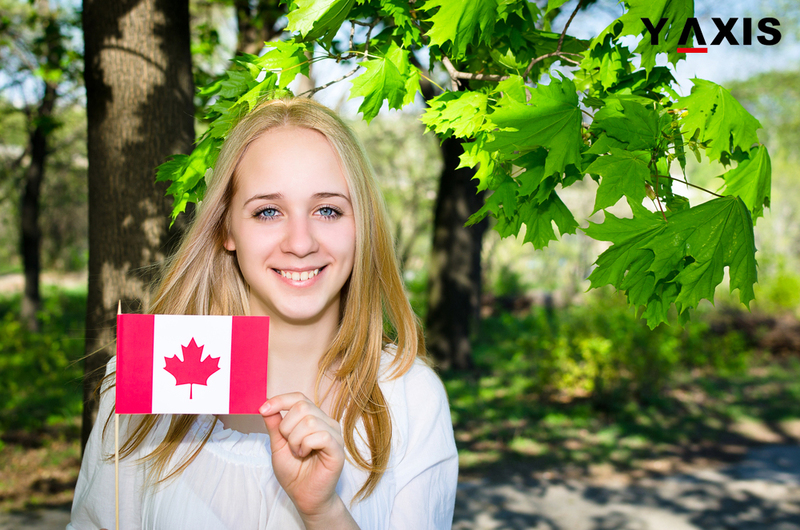 Overseas students in Canada have the option of availing the work permit after post-graduate studies that permit them to be employed in any part of Canada and in any job for up to three years. The work permit after post-graduate studies was launched to appeal to increased number of overseas students. There are very few nations that have this facility and global standard of education coupled with beneficial job opportunities for overseas students. There has been a major increase in the number of the work permits that are offered to overseas students after the completion of their post-graduate studies. While 15, 600 work permits were issued in 2008, the number of these permits offered in 2016 exceeded 101, 000. The experience gained through these work permits after post-graduate studies results in the overseas immigrants qualifying for a permanent Canada immigration program. This gives an opportunity to the immigrants to reside and work in Canada while parallel processing of their Canada PR.